NLCE committed mechanical and electrical designs to the refurbishment of this 7 storey commercial office development located in Mayfair, London. 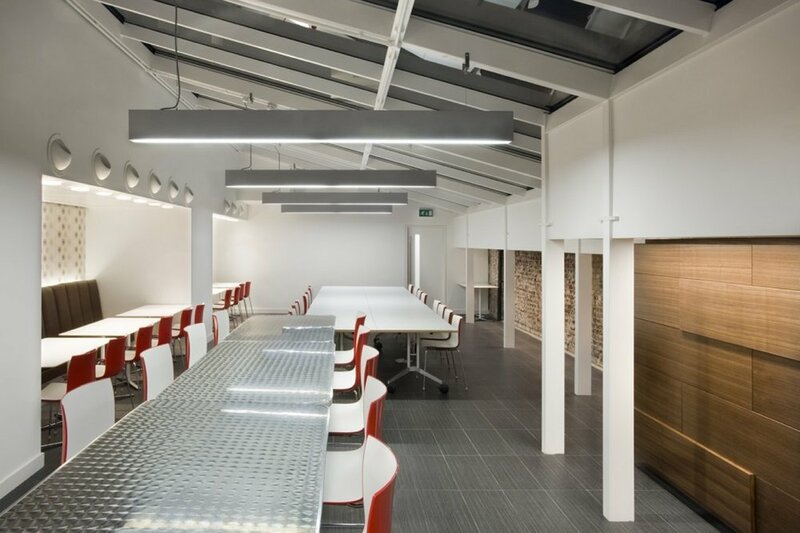 This centrally located building required designs for all building service elements to suit the new open plan layout desired on each floor. The key design elements comprised of a new CCTV & security system, LED & feature lighting system in the office main reception areas, corridors, canteen and office areas, as well as heated & cooling fan coil units on a VRF (Variant Refrigeration Flow) System. Upgrades to emergency lighting were also carried out to ensure the health and safety of the building’s future employees.